Saxson Global Services has a team of highly skilled business professionals with backgrounds in Management Consulting, IT, e-CRM and International Business. We assist you in exercising your options to develop or outsource specific business processes at globally competitive locations. We could help you optimize your operations by leveraging cost differentials through offshoring and outsourcing services. We propose to work closely with your team on your Business Process Outsourcing (BPO) needs to arrive at the option, best suited to your organizational needs. 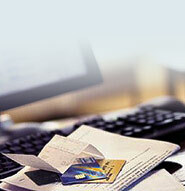 Identifying the benefits of BPO. Working together with your team in zeroing on "offshorable" processes within your organization. Analyzing existing costs of operation and assessing potential cost savings. Assessing possible enhancement in "Quality" in Outsourced or Offshored processes. Identifying the best-suited model from your perspective - Captive, Vendor based or a Hybrid. Short listing offshore candidates to qualify as Vendors, potential acquisition targets, or JV partners. Planning and implementing a Pilot run. Negotiating a service Agreement and contract - SLA. Managing a seamless Migration of processes to the Service Providers location. and more depending on your specific requirements.